SAN MATEO, Calif., Oct. 28, 2015 /PRNewswire/ — GoPro, Inc. (NASDAQ: GPRO), enabler of some of today’s most engaging content, today announced financial results for its third quarter ended September 30, 2015. GoPro reports gross profit, operating expenses, operating income (loss), net income (loss) and diluted net income (loss) per share in accordance with U.S. generally accepted accounting principles (GAAP) and on a non-GAAP basis. Non-GAAP net income excludes, where applicable, the effects of stock-based compensation, acquisition-related costs, and the tax impact of these items. Additionally, GoPro reports non-GAAP adjusted EBITDA. A reconciliation of preliminary GAAP financial measures to non-GAAP financial measures, as well as a description of items excluded from the calculation of non-GAAP financial measures is presented in the financial statement portion of this release. The Board of Directors of GoPro authorized the Company to repurchase up to $300 million of its Class A capital stock, commencing in the fourth quarter of 2015. Share repurchases under the program may be made from time-to-time through open market purchases, block trades or otherwise, including under plans complying with both Rule 10b-18 and Rule 10b5-1. According to NPD, GoPro accounted for 5 of the top 10 products on a unit basis in the combined digital camera and camcorder category, in the U.S. for Q3. In the same category, on a dollar basis, GoPro capture devices accounted for 4 of the top 10 products. GoPro was also the leader in accessory unit sales with 7 of the top 10 selling accessories. International sales totaled more than 50% of Q3 revenue; combined EMEA and APAC revenue was up over 175% year-over-year. Based on the first nine months of revenue, China is the fastest growing market in GoPro’s history. 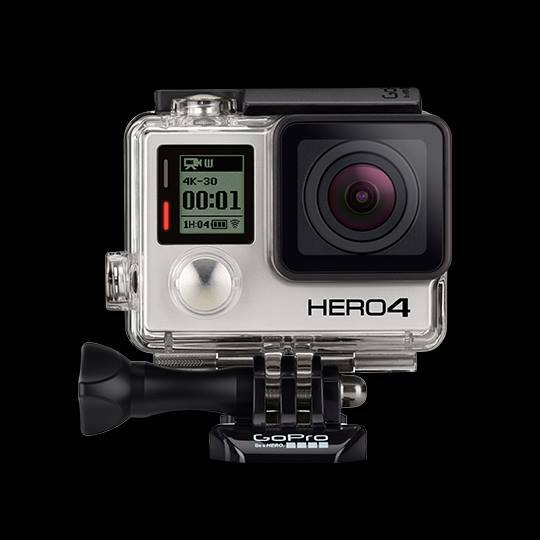 Re-launched HERO4 Session — priced between HERO4 Silver and HERO+. Session is now well positioned for the holidays. Released key firmware updates for HERO4 Session which include the ability to change settings directly on the camera without connecting to a smartphone or remote. Launched HERO+ which features Wi-Fi/Bluetooth integration and is capable of capturing stunning 1080p60 and 720p60 video and 8MP single, Time Lapse and Burst photos, rounding out an exciting 2015 GoPro lineup. Launched Odyssey, a new 16-camera rig designed for Google’s 3D, 360-degree virtual reality platform (Jump). Released Trim-and-Share, a feature that allows users to select video clips directly on the camera or mobile device for effortless sharing. The GoPro Mobile App was downloaded 2.7 million times in Q3, totaling over 21 million cumulative downloads; Q3 installs of GoPro Studio totaled nearly 2 million, up over 75% year-over-year, with average daily video exports of over 50,000. Launched the GoPro App on Apple Watch, enabling users to control their GoPros from their wrists. Brought immersive, spherical (VR) content to Facebook News Feed. Launched the GoPro Channel on Watchable, Comcast’s new cross-platform video service, marking GoPro’s first multichannel video distribution agreement. Launched GoPro for a Cause, a program in which GoPro will dedicate financing, equipment and production expertise to social causes that align with GoPro’s brand. Announced partnership with USC School of Cinematic Arts to attract content and invest in the next generation of filmmakers. In October, the GoPro Channel on YouTube surpassed one billion views. GoPro is one of only four brands to reach this milestone. Launched GoPro Awards, granting up to $5 million annually to creators of GoPro content for sharing their best photos, raw video clips and video edits with GoPro for inclusion in GoPro Channel programming, licensing and more. In the first week, the GoPro creative community submitted 27,000 content submissions. The first week’s winners can be viewed at http://gopro.com/awards.